Remember that list I created recently? The list consisting of all the things I wanted to do before the wedding and ‘The Great Kentucky Move,‘ well turns out My Someone paid close attention to it and arrived in Oklahoma early in order to attend, what may be, my last Ottawa County Fair beef show with me. If you are from a small community, then you know, events like the County Fair are a huge deal, where you see EVERYONE you attended high school with, along with (now that I’m old) their offspring. Let’s also throw in that even though you may not have seen a lot of these people in a while, they all know every little detail of what you’ve been up too. Well, so much for being discrete. After meandering through all the barns and exhibits it was time for some fair food. My Someone was determined to try his first Indian Taco. An Indian Taco is like a traditional taco, except, the toppings are piled on top of fry bread. 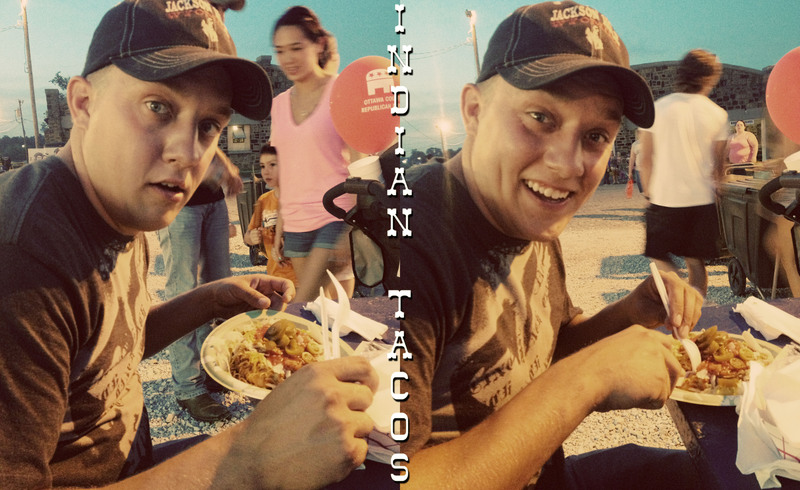 He was happy because at my county the Indian Tacos are made by actual Indians, so his experience was authentic. Before and after he tried them. Obviously, he approves. 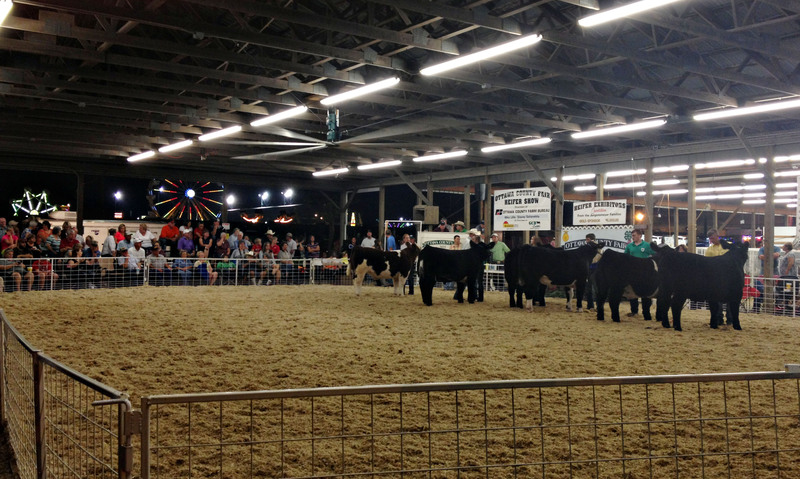 After the Indian Taco extravaganza, we moseyed over to the steer show. We’re both cattle people, so it quickly became a competition of who could judge the class based on 1. how we thought the judge would pick, and 2. how we personally would pick. We’re nerds, we know. Fluffy cows! …actually they’re steers, (castrated males) details-schmetails. All (somewhat) joking aside, being able to attend my hometown county fair, whether it is for the last time or not, was extremely high on my “Before I’m gone” list. Between ages 14 to 23, I’ve been there; from showing pigs, to showing cattle, sleeping under the fans in the barns, completing algebra homework leaning against my show heifer, almost being de-pantsed in the show ring by the same heifer, after high school helping friends get ready for the sale, photographing friends showing, having a week each year that consisted of fair fried food goodness and so on and so on. It’s partly through experiences from the county fair I transitioned from a freshman FFA kid, to the agriculture-loving adult I’ve become. I’d have to say, the icing on the county fair cake, was getting to spend it with My Someone. Our entire relationship has been long distance, and we come from two very different parts of the U.S., so I strongly believe things like this are important, not only to understand each other, but because how can you know where you’re going, if you don’t know where you’ve been? 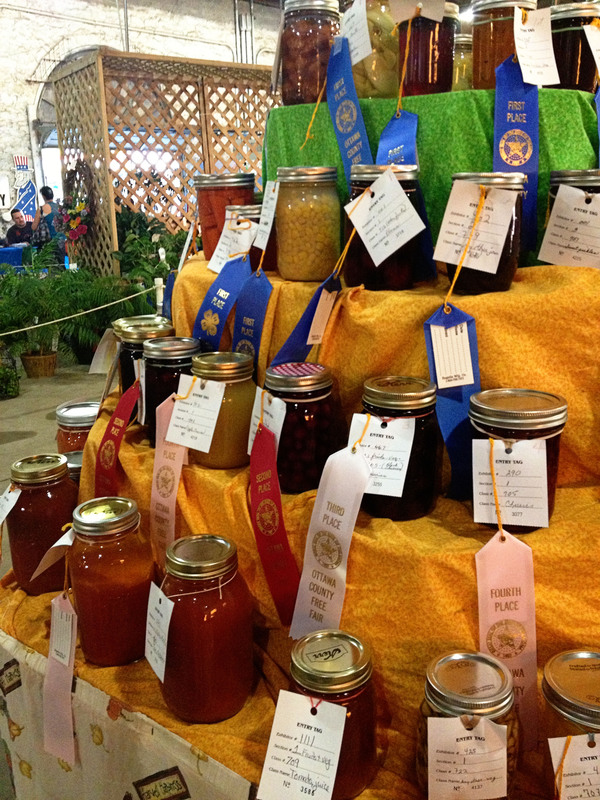 What’s your favorite part of your home county fair? I want to hear about it. Editors note: Photos are a product of crappy lighting and an iPhone, because I’m the goober who didn’t want to lug my camera around all night. You have a swirling, twirling way with words, You actually had me “standing in the middle” of the Piece County Fair, in Washington state! Thanks for the wonderful memories and smells (good and bad) and the food, ah the food. It was a pleasure to stop by today & go to the fair with you. So looking forward to you being part of our Daviess County Fair next year!!!! I’m looking forward to it as well! Daniel was explaining how different mine is from y’alls, so I’m excited to be able to compare the differences. Plus, anything involving some type of stock show makes me happy. Love it! I have wonderful memories of the fair in “Where-I’m-From, Oklahoma.”! 🙂 So glad you got to share yours with Daniel! We are looking forward to having you in Kentucky! Great memories of the county fair! Tho it looks like yours is quite a bit bigger than mine here in MO. So glad you also go to spend the time with your special someone. I am a Kentucky-transplant also (although I have now lived here longer than in my home state of Indiana) and the county fairs are VERY different between my two homes. Johnson Co, In fair is huge and a big deal for the whole community…Shelby County, KY fair is not so big (although by Kentucky standards, it is probably one of the bigger county fairs) and the emphasis is not on 4-H, project work and livestock, rather on the carnival, horse show and tractor pulls. Different for sure, but still….summer is not summer without the county fair! I hope you fall in love with Kentucky as much as I have when you decide to call it home! Love the description of your beloved county fair! My summers are never complete without a good dose of my county fair. I love that you have a list of things to do BEFORE you leave! My fiancé moved to Kentucky in May, and I’ll be heading out there when I graduate next May. I have a list of things to when I get there, but I’m sure once I’m out there I’ll be regretting all the things I didn’t do with my family before I left. PS. I’m from rural Kansas too, about 5 miles from the Oklahoma border. I hope they county fairs are still common in Kentucky!